We have some great things happening this month- We have the first of three Stone Soup Gatherings up at the farm this month, which we hope to see all of you at. This will be just like it sounds, if you have something to bring to the pot-do it and we will feast on the deliciousness that our community soup will offer up. I would also like to make a quick plug for the Sustainable Renton Study Group which is held on the 2nd Saturday of every month from 10am-12 pm. The Roots of Change curriculum is comprehensive and enlightening, the conversations and ideas that spring from the readings are life changing, and ultimately, we hope they are cathartic for our community. Come join us, it’s never too late. 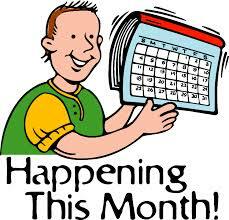 June 2nd-4:00 pm; Azure Standard order deadline for the Kennydale Buying Club. June 11th-6:00 pm; Renton Food Co-Op Meeting. We meet at 5:30 for a potluck followed by the meeting. We are trudging the grassroots road of starting a food co-op in Renton. If you want to be a part of making history please join us. There is plenty for everyone to do. June 14th-1 pm; Gardeners Meeting/potluck and Work Party. If you haven’t been to the garden yet this year you will be amazed at the progress being made up there. We have a lot to do so come and get your hands dirty, eat some food and be merry. June 19th-6pm; Sustainable Renton Board Meeting. Everyone welcome. June 22nd-6pm; Stone Soup Gathering/Sing Along. Bring your addition to the soup and join in the feast. We will have two dutch ovens-one vegetarian, one-not, we will also have music around the campfire with general merriment to be had by all. Bring your own bowl and spoon. Come join us for the amazing things that community can create. 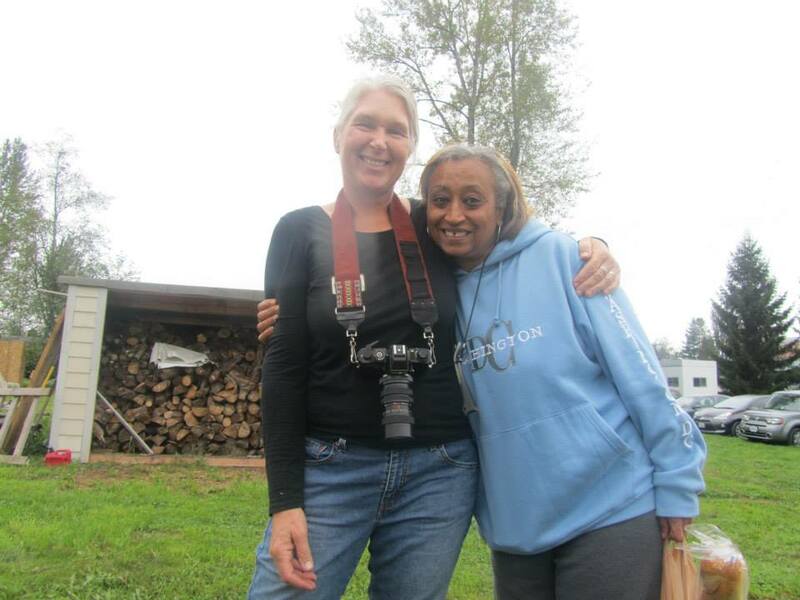 This event is held at Sustainable Renton Community Farm. June 23rd-Midnight Blue Valley Meat order deadline. Hope to see you all sometime this month! This past Sunday, September 15th, was our first ever Harvest Mayhem potluck/fundraiser celebration. Planned to be held outside at the Sustainable Renton Community Farm in NE Renton, the event was intended to highlight the bountiful harvest of the farm, to raise funds for Sustainable Renton, and to enjoy a community celebration outdoors. Well, the weather had other plans for our day. Starting with gloomy, ominous skies, and quickly turning to a rainy downpour featuring thunder & lightning, we were forced to either cancel the event in progress or quickly come up with a backup plan. Fortunately, we are surrounded by many generous, flexible people. Celebration Foursquare Church, whose land the community farm sits on, graciously offered to open the doors to their portable building. And our musicians, Ron Stillwell and Callista Salazar, were very patient in their willingness to wait out the storm and to move inside. And then, in the process of moving tables, food, equipment, etc. indoors, all of the attendees who came out for the event stayed with us throughout this whole process. We are very lucky to be a part of this community. The event itself consisted of a raffle, live music, a potluck, and garden tours. 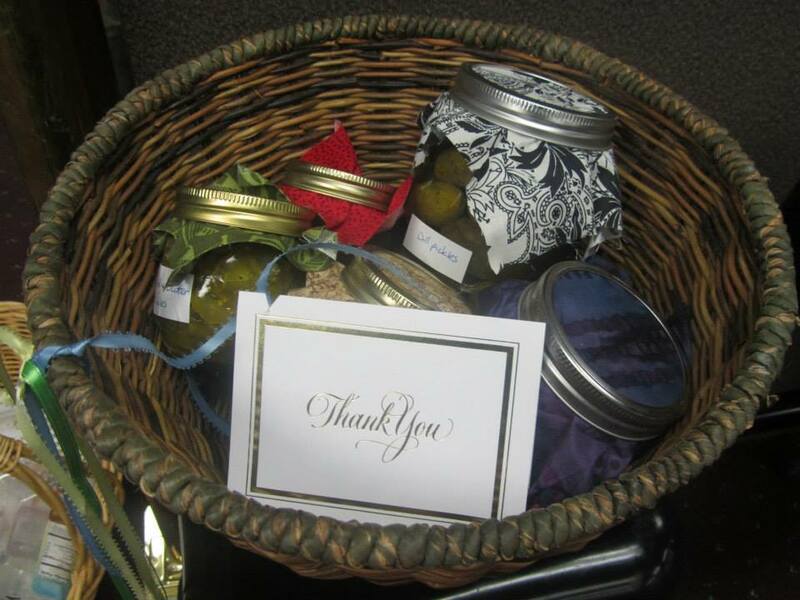 Our raffle featured homemade gift baskets (with items like pickles, jam, beets, and many other tasty creations), gift certificates ($50 from both Blossom Vegetarian and Red House, $20 from Torero’s, $25 from Liberty Cafe), and 1-1/2 hours of electrical work from Steve Randolph. 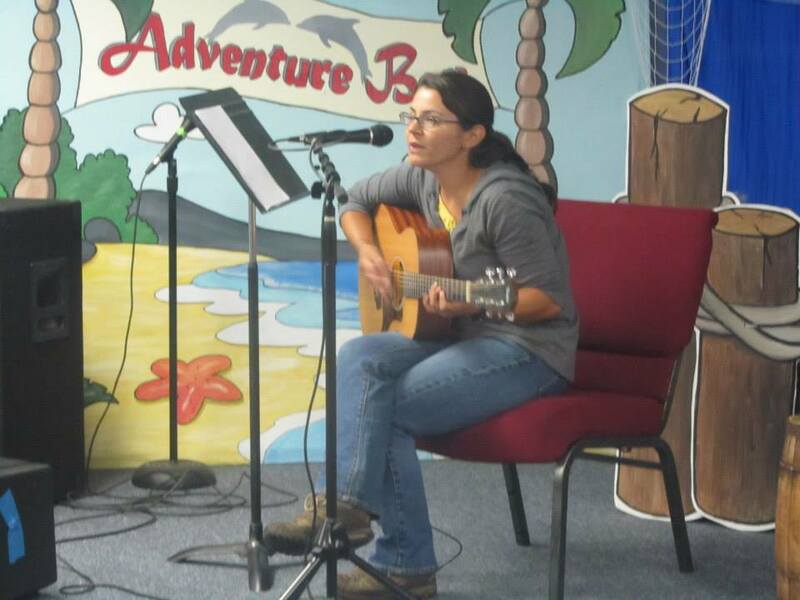 Live music was provided by Callista Salazar and Ron Stilwell. Callista is an emerging artist who played her owned compositions. 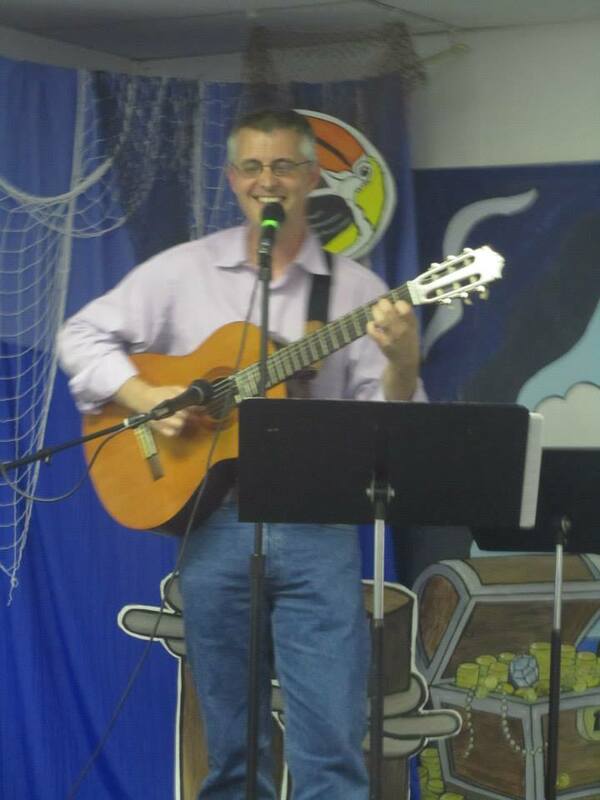 Ron, who has been performing for years, played a mix of some classics and newer material. Both performers helped to brighten the day, and were very warmly received. Steve Melle generously donated his sound equipment for the event. The potluck was a definite hit-so many delicious appetizers, soups, snacks, and desserts. All were enjoyed with gusto by everyone in attendance. Many of the dishes featured in season, locally grown produce. Before the weather sidetracked things, many attendees were able to wander the grounds of the farm to see the wide variety of flora that have been growing there this season. Some of the bounty included: amaranth (a deep, dark, gorgeous shade of red), red chili peppers, sunflowers, massive pumpkins, kale, chard, broccoli, turnips, radishes, and so much more. While we certainly would have had higher attendance with better weather, we were still able to raise just under $100 from our raffle. Thank you to all who purchased tickets and donated items to the raffle, and to everyone who came out to celebrate with us. New friends were made, and community was strengthened. We look forward to doing it all again next year (although we’ll probably aim for August for better weather prospects). Thank you! How is Your Garden Growing Potluck! Sustainable Renton is hosting a potluck dinner event for you to gather up with fellow gardening residents of the Renton area. We will eat and get to know one another while we share learning and success on our garden adventures. This is a great way to learn from a friendly group and find out about other events in the area. Questions? Contact Michelle at michelle.salima@gmail.com or 425-518-9692 (text or voice). Feel free to bring kids, we have an area for them to hang out. 970 Harrington Ave NE; Renton WA. Posted on July 10, 2012 June 11, 2013 Author Sustainable RentonCategories Community Gardens, PotluckTags Education, Gardening3 Comments on How is Your Garden Growing Potluck!